Just in today is this 2017 GMC Savana Explorer Conversion!!! 6.0L V8 Engine with Automatic 6-Speed Transmission!!!!!! Beautiful Brilliant Bright White Metallic Pearl Exterior!!! Genuine Dove Gray Heated and Cooled Leather Interior!!! fully loaded with every option imaginable… this is a living room on wheels folks! 32 Inch Samsung TV With Blue Ray Player, PlayStation 4, Built-In Refrigerator, Built-In Vacuum, Rear Moonroof, Electric Rear Bench Bed, 4 Captain’s Chairs, LED Lighting Throughout, Tow Package, 20inch GMC Wheels, Navigation, Back Up Camera!!! This Thing Is the Ultimate Way To Travel!! SAVE THOUSANDS buying from us. Good luck finding one this nice at this price!! Call Now because it will go quick! We have the best price guaranteed. Why? Because we are "WHOLESALE AUTO PURCHASING, "NEVER PAY RETAIL AGAIN!!! ", Don't pay Retail Buy WHOLESALE!! 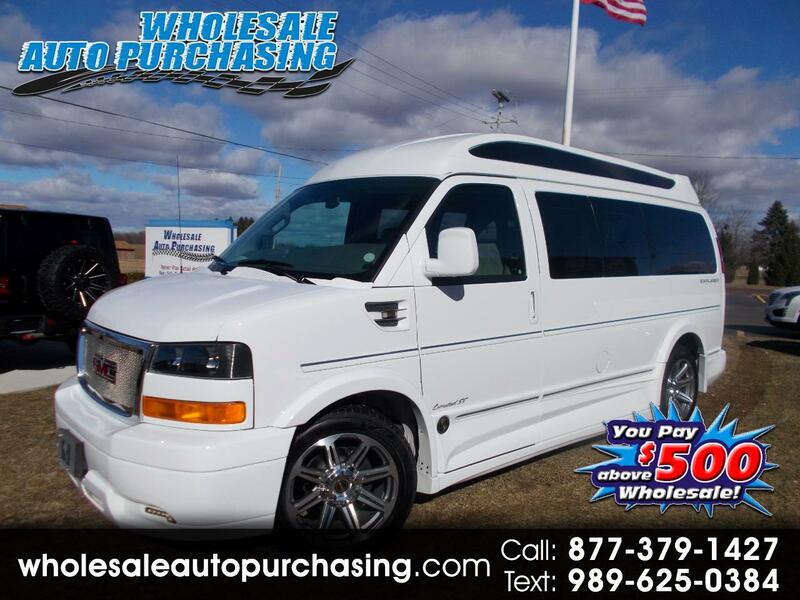 $500.00 above wholesale - Call 1-877-379-1427 to set up a viewing and a test drive. Thank you for considering Wholesale Auto Purchasing in Frankenmuth, MI for your next vehicle purchase. Vehicle Inquiry for 2017 GMC Savana RWD 2500 135"